The Easter Bunny is missing hundreds of colorful eggs and they have been found floating in the Summit Activities Center Pool! Children ages 5+ are invited to hop over to the In The Water Egg Hunt on Thursday, April 18 from 10am-1pm. Retrieve the eggs to win prizes! While waiting their turn for the egg hunt, children are encouraged to take their picture with the Easter Bunny and play organized gym games in the SAC gym. 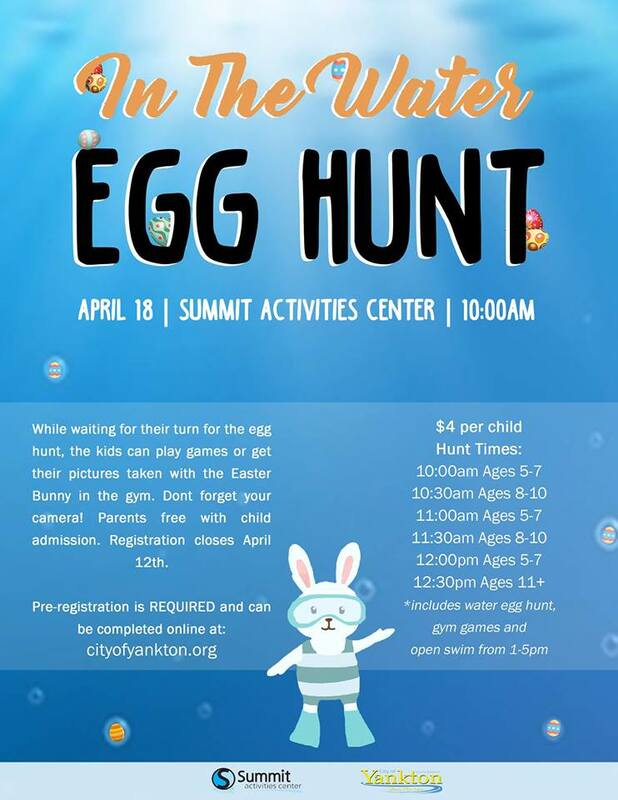 Cost is $4/child and includes water egg hunt, gym games and open swim. Each child may only participate in one round of their age category. Pre-registration is required by April 12.